In 1924, the illustrious department store, Marshall Fields in Chicago, created the first Bridal Registry. In that era, a bride transitioned from the home of her mother and father to setting up a life with a new husband. He too would be leaving the nest of his mother and father without the basic essentials to include in a household. Marshall Fields saw this need and created an innovative concept designed to allow brides to make special requests of items they would need in order to set up a proper home following their nuptials. As society has evolved, the average age of newly married couples has risen and most have their own homes or cohabitate together. Often couples already come to a marriage with fully stocked kitchens, linen closets and homes. They now face the challenge of combining their two fully stocked homes making the traditional Bridal Registry less significant. What the modern bride and groom need today is cash. 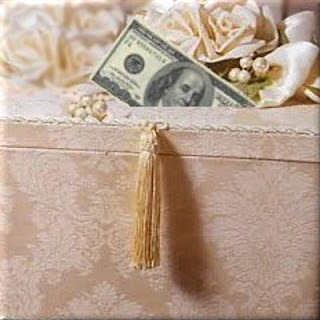 A cash gift is no longer considered impersonal. A cash gift is so personal that it often allows the couple to purchase the final piece of the puzzle that was missing when they began to meld their lives. When considering purchasing a gift, all guests should consider that the bride and groom are already dealing with the emotional disposition of duplicate household items they may have become attached to. 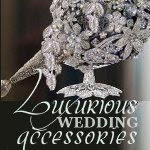 A monitory wedding gift allows the couple the freedom of choice on how and where they will invest your generous gift. Often times couples are looking to upgrade kitchen appliances, purchase lawn and household equipment, buy furniture, or save for a new home. They have also become more charity minded and may request donations to be made to a charity in lieu of a gift.